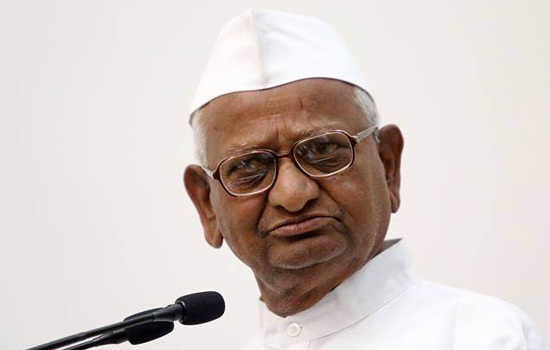 Fasting activist Anna Hazare said on Monday that he was “used by the Bharatiya Janata Party (BJP)” to win the 2014 Lok Sabha elections. He said the government led by Prime Minister Narendra Modi “is only misleading the people of the country and leading the country to autocracy” and added that the BJP-led Maharashtra government was speaking “lies” over the past four years. He rued that now the very same people who benefitted from his agitations in 2011 and 2014 had turned their backs on his demands and nothing had been done to implement them in the past five years. Hazare’s strong remarks came on the sixth day of his indefinite hunger strike and a day after he threatened to return his Padma Bhushan - India’s third highest civilian honour - if his demands were not conceded by the government soon.